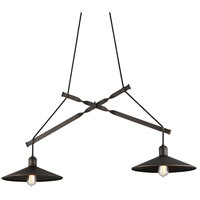 McCoy is a nice and simple rustic design with an avant-garde industrial twist. 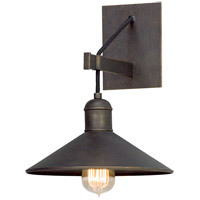 Individually, the one-light pendant features a traditional factory shade in hand-worked iron finished in vintage bronze, which is suspended from a black fabric-covered cord. The island option creates a simple scissor design with two factory shades and thick flat bars twisted with a wingnut connection. 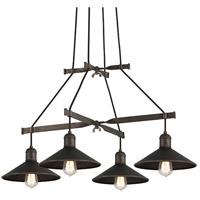 The four-light chandelier has a simple yet complex frame that features the fabric wire creating an architectural statement straight to the ceiling. 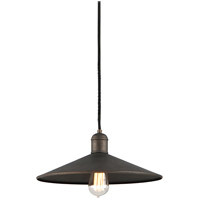 Available with an additional sconce option, McCoy features early electric light bulbs (also offered in optional early electric LED).